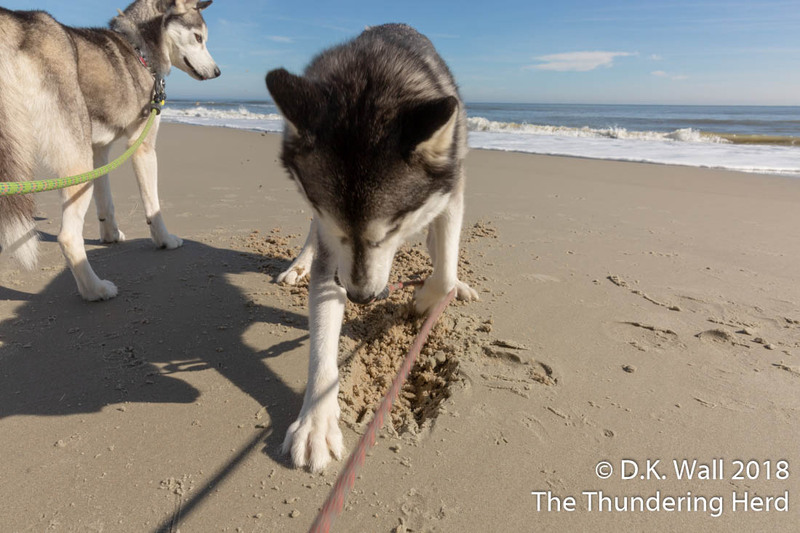 Creating a hole in the sand on the beach may sound like an easy task, but Typhoon and Cheoah battle over beach digging lessons. 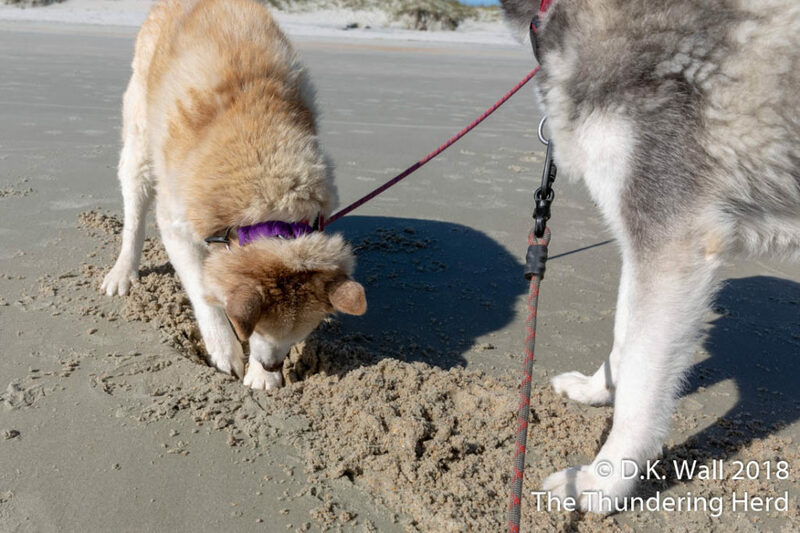 See, Roscoe, you dig in the sand just like this. Typhoon isn’t accustomed to being a mentor. 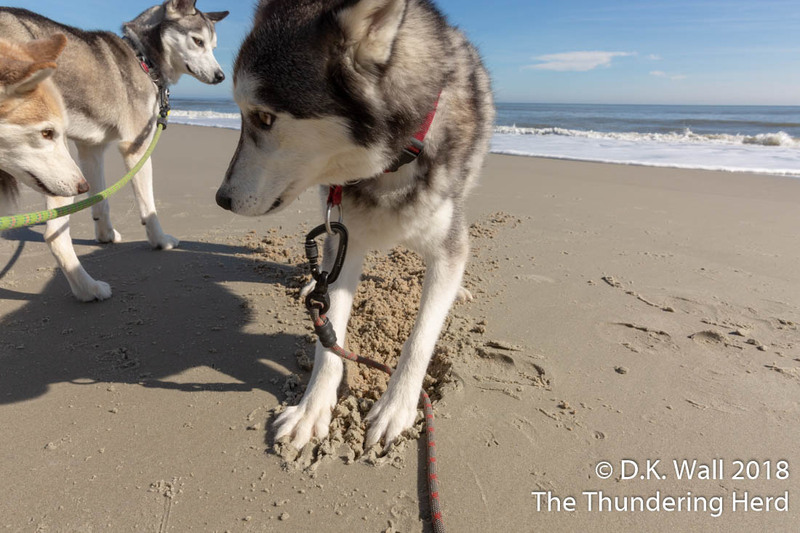 And his princely manners don’t really extend to getting his paws dirty in the sand. But when an expert stepped in, the Little Prince may not have been thrilled. What do you mean I am doing it wrong? The Cheesewhiz is very comfortable digging deep holes. She pushed His Haughtiness aside and fired up her dual front paw digging machine. This is how you dig a hole! This week’s Movie Memory Monday is extra special – it includes an explanation in the post about one of the many ways our Hu-Dad is crazy enough to enjoy our antics! 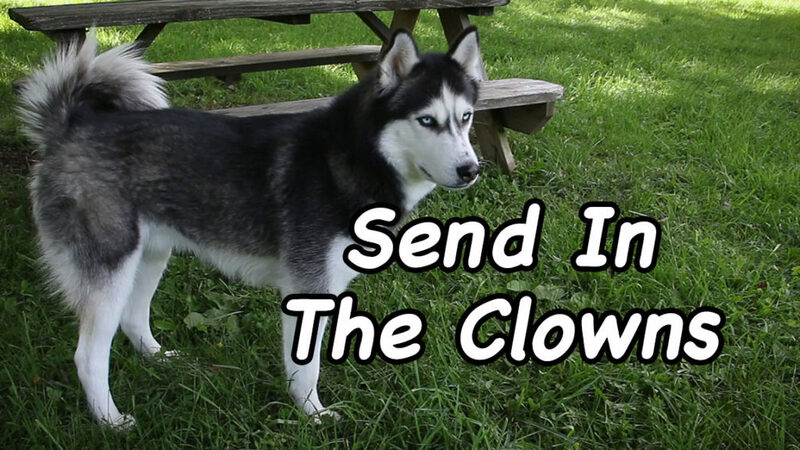 How appropriate that the video is called Send in the Clowns! You go girl Cheoah-teach those boys HOW to dig a great hole!!! Roscoe has many things to learn at Chez herd-lol! A true red headed Beach Babe, so of course she knows best!